Spin’IT is an eco-design and environmental footprint software based on Life Cycle Assessment. The software meets the needs of the textile distributors and manufacturers who wish to implement an eco-design strategy and offer a rigorous and transparent environmental footprinting covering their whole production. 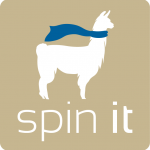 Spin’IT was designed after intensive exchanges with several industry and retailers company. To fit with their expectations, Tools4Env has included a large database (developed by Cycleco) covering a large diversity of materials (synthetic and natural) and numbers of industry processes which footprint can change depending on their technology and their location. Further these developments; a smart environmental data management system was programmed with a friendly online interface in order to ensure both an easy learning of Spin’IT functionalities and an efficient management of environmental evaluations of each reference. Spin’IT fulfill expectations of partner companies which was an easy to use software enabling fast calculation of footprint, and providing reliable results based on transparent data. The agriculture and food sector is characterize by the diversity of products, the number of small companies producing intermediary products on very different recipe, and the large food companies and retailers. FoodPrint allows quickly evaluating the environmental impact of agro-food products and making decisions for environmental improvement of products. FoodPrint provides an extensive database of agriculture and food products and processes which covers most of the processes and products (the database is edited by Cycleco). Furthermore, most of methodological choices are predetermined and clearly explained. Thus the user can put effort to improve the modeling of his product and to ensure the quality of the data specifically used to model his own system. The fast calculation of footprint and modeling of components allows application of FoodPrint for mass market products. The strengths of Food print is partly in its graphical user interface (including an easy understanding of allocation procedures) but also its way of managing in a single software both environmental improvement and environmental footprint of products. e-LICCO (Evaluation tool for Low Impacts Constructions) is a pragmatic environmental impacts assessment software to be used by building designers – engineers or architects. e-LICCO allows the assessment of buildings projects under several environmental indicators, as climate change and eco-toxicity impacts, both for new buildings and renovation. The evaluation is made thanks to Life Cycle Assessment method in compliance of with ISO 14040-44 requirements and following ILCD Handbook recommendations. e-LICCO database have been built for more than 1000 building products and assemblies, from the concrete blocks to the complete ventilation systems. Strengths of e-LICCO are definitely the user-friendly interface, the size and completeness of the building product database, and the quality of the documentation of the method and the database. Cycle IT system is an easy to use LCA software for the environmental and economic evaluation of products coming from industrial systems. 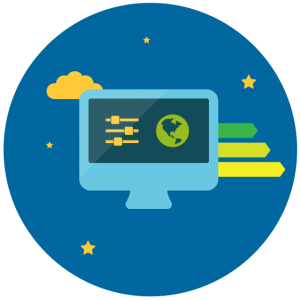 Cycle’IT system is a customizable IT structure that can be quickly adapted to integrate specific requirements and databases. As such, Cycle’IT system can virtually be used by any manufacturing facility by adapting the interface to a product-specific use phase and integrating specific process and material databases (i.e; furnitures, train or plane parts, printers, etc). Cycle IT System is a pragmatic LCA web application, which allows non-experts to carry out the LCA of industrial parts for purposes of eco-design. It is particularly suitable for life cycle assessment and cost analysis of parts made from either polymeric or composite materials, as well as alloy-based metallic components and specific surface treatment applications and forming/assembly processes. Strenght of Cycle’IT is first is huge database of polymer, composites, metals, but also processes such as painting or surface treatment which can bring solution to nearly all industrial situations (the database is edited by Cycleco). But it is also the connection between the Life Cycle Assessment and the cost of product and processes which enable an easy connection between environmental and economical indicators in order to make the best decision. Cycle IT automotive is derived from Cycle’IT System and aims at enabling fast and easy LCA studies of a car parts or a whole car. All kind of cars can be assessed and the large database of industrial product and processes available facilitate the quick calculation and produce reliable results. Beyond the database itself, the integration of Life Cycle Costing (LCC) in the software gives the opportunity to find the best tradeoff between environment and economical optimum. At the same time, while environmental assessment (LCA) of products is a key issue between most of car part suppliers and car producers, the software provide solutions to have an easy communication of environmental data preserving the confidentiality of the product design. Sivéa-ACV is pragmatic LCA software for environmental assessment of buildings and network infrastructure and exterior spaces management. Sivéa-ACV is based on three components: a method, a database and a software. It allows calculating the environmental impact with a macro approach with regard to the implementation, the management and the destruction of structures. The prototype has been built in partnership with 10 companies and is curently available for testing. It already includes a database of 300 materials and engines and allows life cycle assessment of projects of network infrastructures for water supply, remediation, sealing, platform, wet and dry networks and landscaping. The strengths of the software is of course the broad coverage of its product database (edited by Cycleco), but also the compatibility of the database with the existing commercial offers software available. This functionality enable a “one clic” LCA of a project as soon as the commercial offer is ready.